In order for addiction professionals to help transgender individuals with drug and alcohol issues, it’s important for them to know a bit about what it means to be transgender. Today, transgender people make up about .5% of the general population, but they are at much higher risk for things like discrimination and hate crimes, stress, depression, anxiety, and drug and alcohol addiction than the general population. 69% of transgender people have experienced homelessness. 42% have attempted suicide at least once, compared to 1% of the rest of the population of the United States. 57% of trans people report members of their families not speaking to them because they are transgender. However, the only thing that trans people have in common with one another is the fact that they are trans. Some choose to take hormones or have surgery, some choose to do both or neither. Some trans people choose to live as a gender different from what they were assigned at birth, but are perfectly happy with keeping their body the way it has always been. Gender is a very personal thing, and the way many transgender people identify is very individual and unique, and in some cases, constantly evolving, too. Although the United States is more accepting of transgendered people than it used to be, and is more accepting than many other countries today, people who are transgender experience a vast amount of discrimination, which can lead to feelings of low self-worth and depression. Often, transgender individuals are denied employment, housing, and healthcare. A December 2016 study by the National Center for Transgender Equality found that up to 10% of transgender individuals report being violently treated when coming out to their families, and 8% say they were turned out of their homes. As a result of these issues and other factors, according to a study published in the The American Journal of Public Health that surveyed over a thousand transgendered persons, 44% of those surveyed reported clinical depression as a result of their stigma, and 33% reported anxiety caused by it. The National Alliance on Mental Illness reports that members of the LGBT community are three times more likely than the general population to experience these conditions. These things all can lead to transgender people being at a higher risk of participating in risky behavior, such as drug and alcohol use and abuse. The Center for American Progress offers some insights on additional contributing factors that can lead to addiction as well for transgendered people, such as common and frequent exposure to drugs and alcohol, and targeted marketing by alcohol companies that exploit the bars and clubs that provide safe spaces for LGBT people to get together, but that also offer easy access to drugs and alcohol. The Center for American Progress also states that although an estimated nine percent of the general population struggles with some form of addiction, that percentage is likely much higher for transgendered people, and they estimate that as many as twenty to thirty percent are substance abusers. According to their studies, 25% of the LGBT population participates in heavy drinking, but only about 10% of the overall population does. Furthermore, they found that the LGBT community also uses methamphetamines and heroin at a much higher rate than other groups. Due to rejection in the home and in general society, transgender people often flock to a bar and club scene that caters directly to the LGBT community, and as a result, they may be drawn into even more drug and alcohol use. These locations exist for solidarity and safety, and do help people who may be outcast elsewhere to feel comfortable among others like them, but they also can make it easy to obtain addictive substances, and the environment can be not only accepting but also encouraging of their consumption – which can be a dangerous game for individuals, many of whom may be vulnerable to begin with. Although it is often difficult for anyone addicted to drugs or alcohol to seek and receive treatment, the obstacles faced by transgendered individuals are even greater than they may be for others. First of all, past uncomfortable or negative experiences in healthcare settings may preclude some trans people from seeking treatment. The Journal of Gay & Lesbian Mental Health surveyed over one hundred trans people and many reported feeling discriminated or misunderstood when seeking any sort of mental health services, and said they consequently might think twice before pursuing treatment in the future. The National LBGTQ Task Force did a similar study in 2010, and found that 19% of survey responded were refused care due to their transgender or gender non-confirming status, 28% reported that they had experienced harassment in medical settings, and 50% said they had to teach a medical provider about transgender healthcare. Further, most drug and alcohol treatment facilities are structured within male/female parameters. Sleeping quarters, group therapy sessions, and other policies are usually divided into two groups, and many transgendered people do not easily fit into one or the other. As a result, many rehabilitation centers are not sure where to place transgendered men and women when they seek help, and in some cases they are even turned away because they fall outside of gender norms. Further still, financial barriers can keep transgender people from seeking help as well. The National LGBTQ Task Force also reports that as many as 13% of transgender individuals are unemployed, a number more than twice the national average in the general population. More than a quarter of respondents to the Task Force’s Preliminary Findings Report Survey said that they had lost a job due to being transgender at some point, and 47% stated that they either did not get a job, did not get a promotion, or were fired because of being transgender. This means many do not have insurance, nor do they have the money to pay for certain treatment programs that cater to their specific needs. The same report stated that only 40% of employed transgender people said they received health insurance through their employer, compared to 62% of the general population. There are numerous groups to help people in the LBGTQ on their path to recovery. For example, The Association of Lesbian, Gay, Bisexual, Transgender Addiction Professionals and Their Allies (NALGAP), founded in 1979, is an organization focused on the prevention and treatment of addictions in LGBTQ communities by providing information, training, advocacy, networking, and support for health professionals and individuals in recovery. 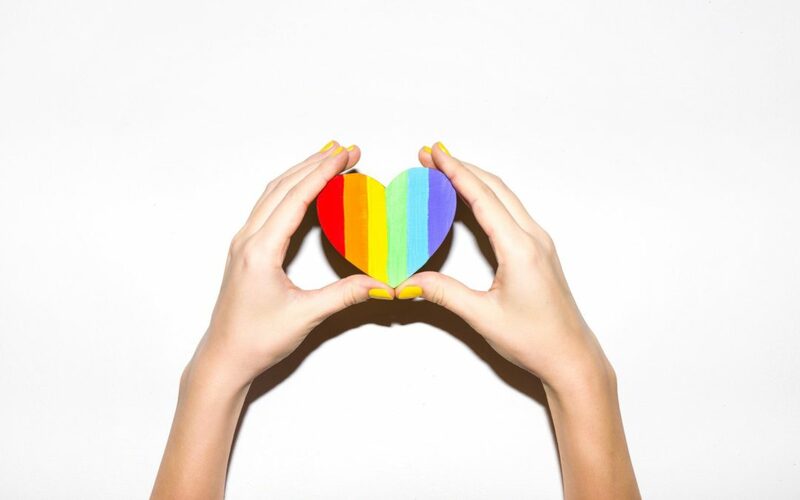 The Trevor Project is the leading national organization providing crisis intervention and suicide prevention services to LGBTQ youth between the ages of 13 and 24. Trained counselors are available 24/7 on the Trevor Lifeline at 866-488-7386 for those “in crisis, feeling suicidal, or in need of a safe, judgment-free place to talk.” Both of these groups and others are there to help people in the LGBTQ community speak with people who understand their unique situation and encourage them to seek treatment in centers that will accept them for who they are. Clear Sky Recovery welcomes people from all backgrounds, orientations, and walks of life. We are well versed in the specific treatment needs of people who identify as transgender and we want to help you. Thanks to our small, personalized model and facility, we are able to treat all of our clients as individuals, and focus on the specific challenges they have faced that have led them down the dark path of addiction. Further, the unique process of ibogaine treatment can and will help our clients to work through many of the issues they have faced in a safe and judgment-free environment. Our dedicated staff will work one-on-one with each visitor as they enter our program, and will offer individualized support throughout the entire recovery process. If you are interested in finding out more about ibogaine and ibogaine treatment, please contact one of our intake specialists to find out how we can help you and design a treatment program specifically for you and your distinct situation. Call us today.